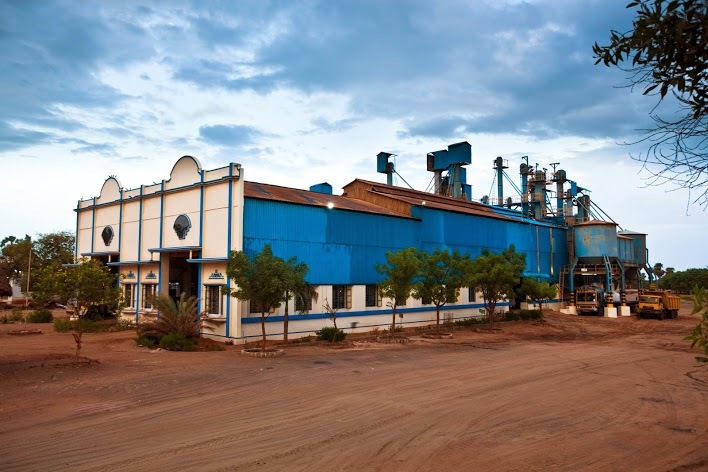 VV Mineral is a company based in Tamil Nadu; they mainly deal with mining manufacturing and export of heavy minerals such as Zircon, Rutile, Ilmenite and Garnet. The mineral rich beach sands of Tamil Nadu are highly valuable for the manufacture of these four minerals. They contribute greatly to the economic needs of the state. And, also allow Indian industries to collaborate with a global network adding to the profits of our nation. V.V. Mineral, India has an annual output of 150,000 Metric Tons of Garnet Abrasives. Providing the best quality garnet abrasives in the world, V.V. Mineral have achieved large market share in Europe, Middle East, East Asia, Australia and USA. The garnet abrasive supplied by VV Minerals is used for sand blasting, water jet cutting, surface preparation and in making other industrial products such as garnet sand paper. For the last nine years, VVM has been winning the ‘Number 1 Garnet Exporter’ award, presented by Indian Chamber of Commerce and Industry. Presently holding the number one position for export of garnet in India, and 2nd on the global front, VV Mineral strives to be in the top position in the world in the coming years.